A door hanger can be used to promote any type of message. It can be used for different purposes like marketing a product or service or to simply inform that you are busy, sleeping, free or have gone outside. 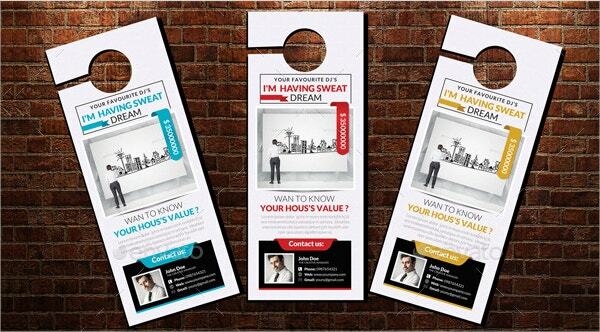 Door hangers directly communicate with their target audience. Therefore, the designing of the hangers is a crucial aspect. 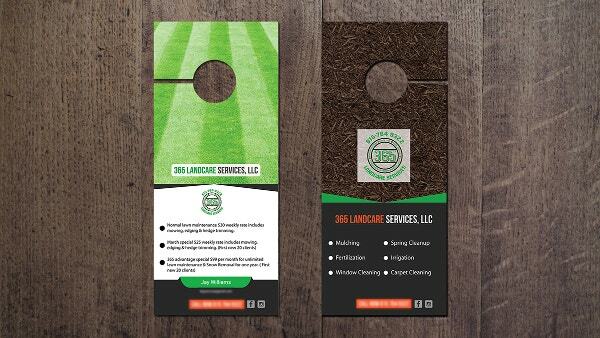 A creative door hanger is turning out to be the most convenient and cost-effective tool for marketing. 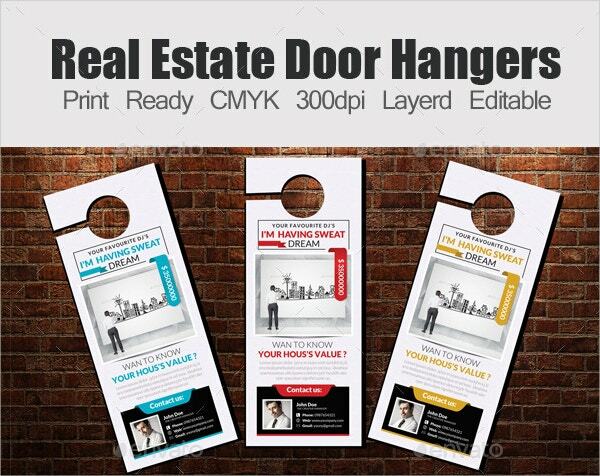 Real estate door hangers are a smart and fun asset for corporate marketing. The colors, text, layers or shapes of these templates can be easily designed to include important information that a business wants to convey to the audience. It is a very useful asset for businesses looking for effective and easy marketing tools. During the laundry process, there is a need for hangers to hang items immediately so as to minimize the wrinkling. 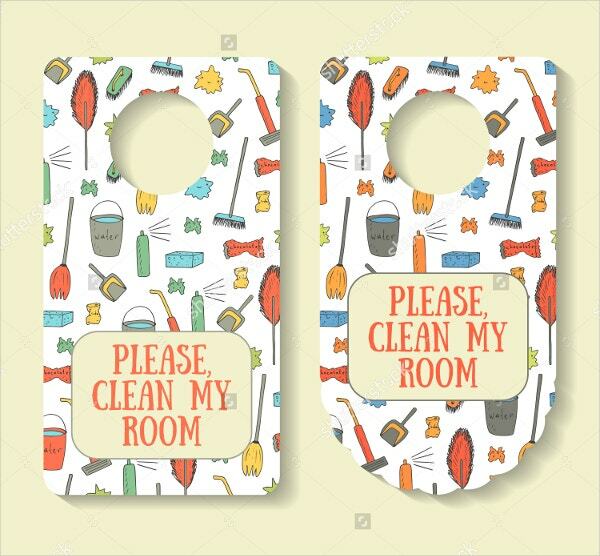 A laundry door hanger is perfect for a laundry room or a bedroom closet. 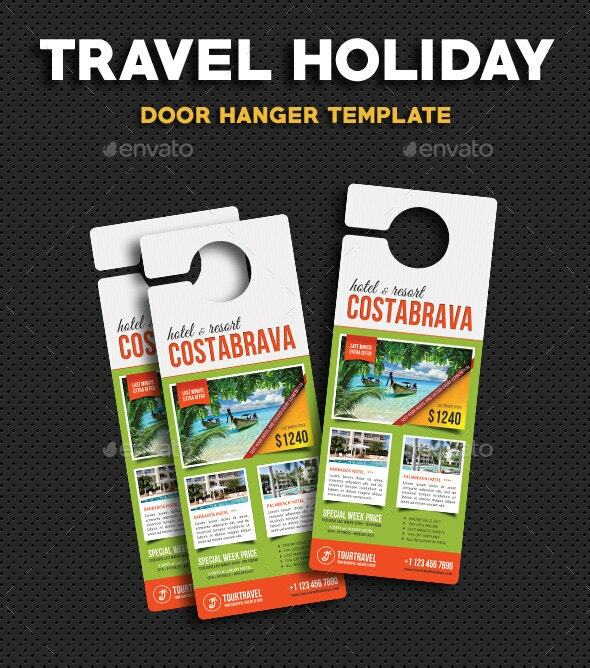 Tour travel door hanger template can be used to promote a traveling agency. These templates are an effective way to promote tourism. This is the cheapest way you could find to promote a travel agency. Danger ahead door hanger templates are used for warning the audience. 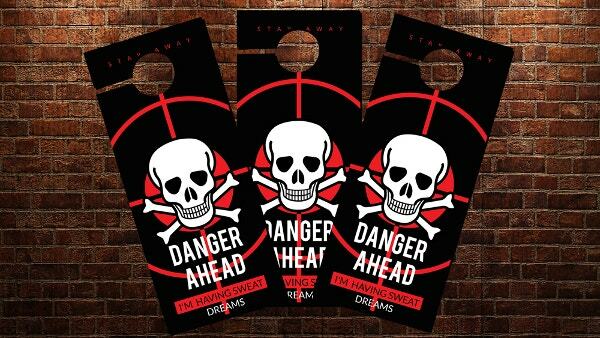 Danger ahead door hanger template can be used to caution the audience about the path ahead. 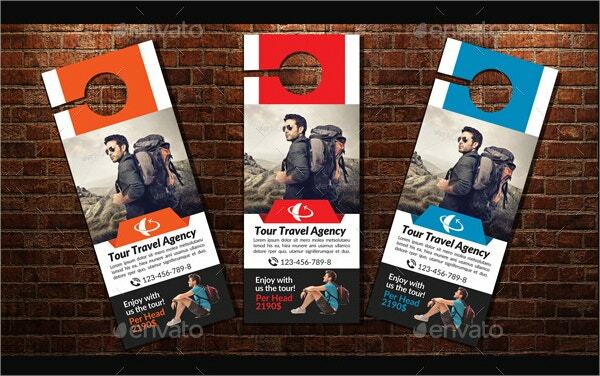 Brand identity door hangers are a powerful marketing strategy. 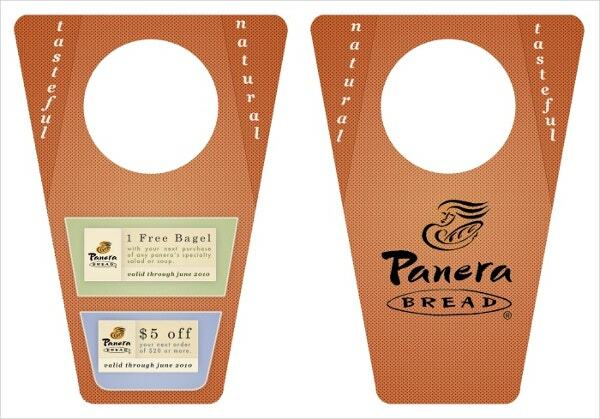 A brand can easily use these door hangers to attract a large audience. These are especially beneficial for small businesses or new startups. 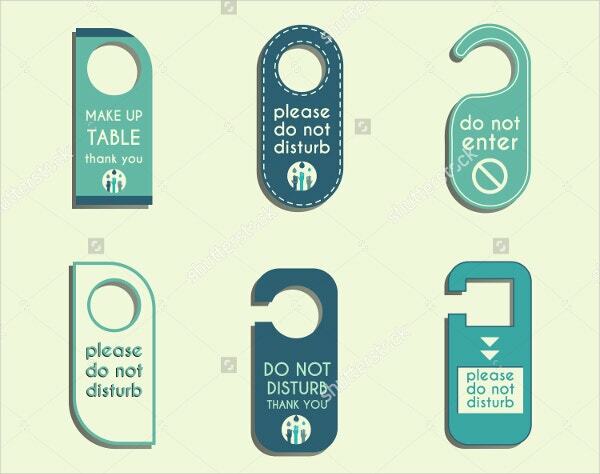 Corporate door hangers bundle explains about a business or an organization. It explains things about the business like, what they are offering, their key features, why should you choose them etc. 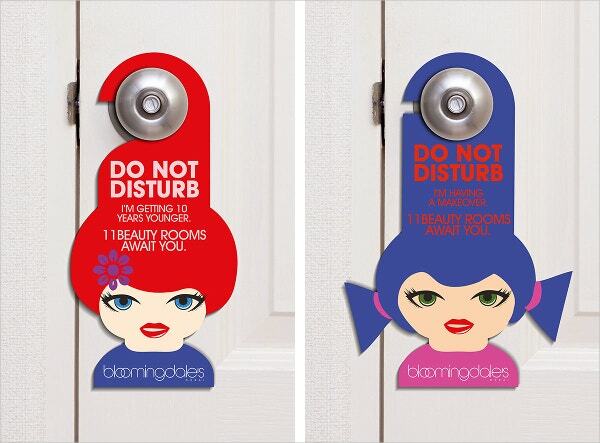 Beauty salon door hangers are a convenient marketing tool for the beauty salons and businesses. 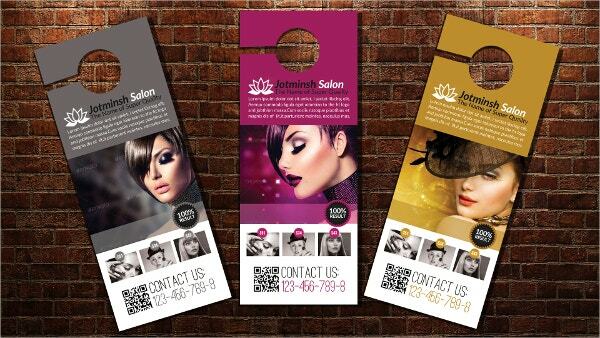 The door hangers help to inform the audience about new salons and their services. This is an effective way to inform about a sale or an offer provided by a salon. 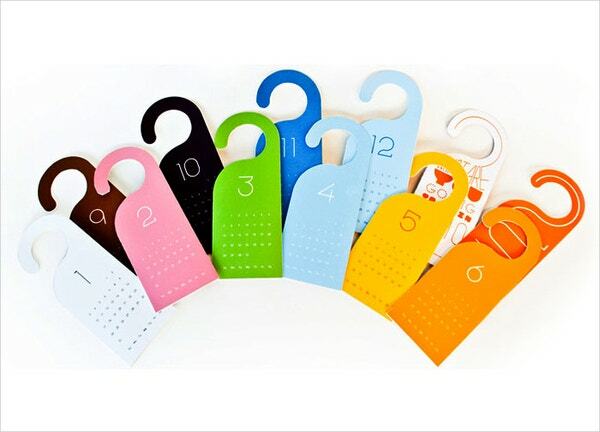 Clean my room door hanger is ideal for hotel rooms where guests can specify their needs by this hanger. These door hangers are made in a standard hook cut-out shape that slips over a variety of door handles easily for quick and easy display. 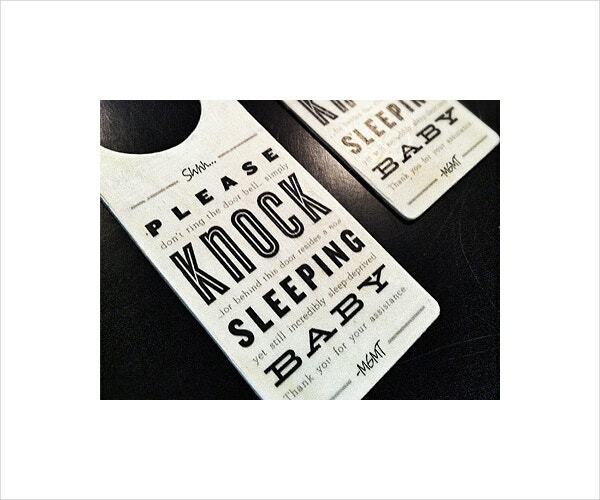 This is a creative door hanger, designed to inform people about the baby sleeping in a room so that anyone coming can be cautious and silent while knocking the door. The hangers have it written on them, asking the audience to knock softly or to avoid ringing the doorbell. 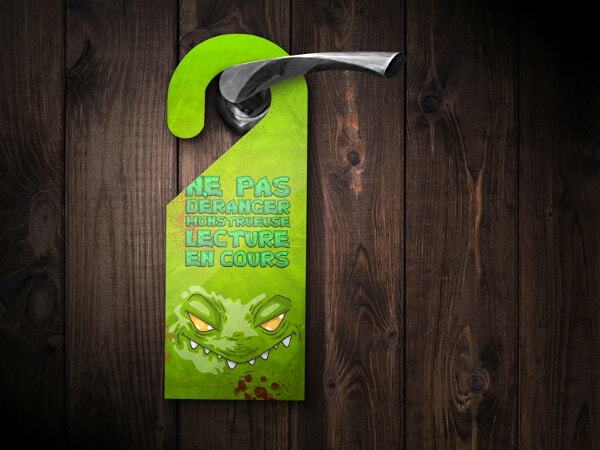 This creative door hanger is for the promotion of the local restaurants. These hangers contain the whole menu with all the food items and prices. 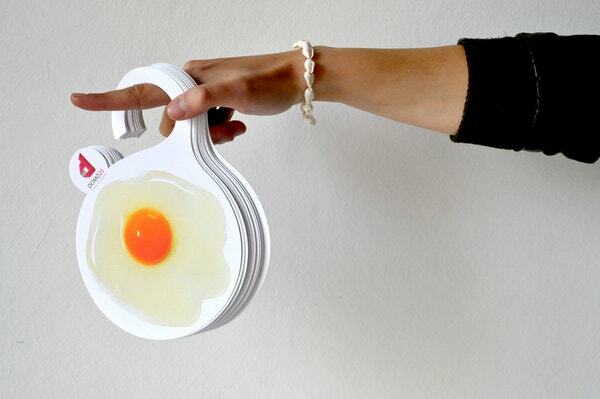 This is the very good tool to attract the customers to the restaurant. 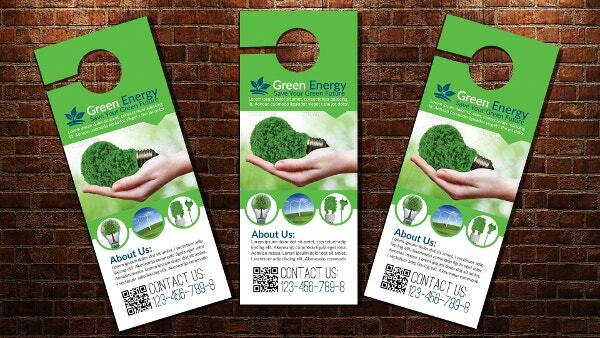 Green energy door hangers are used to promote eco-friendly products. These door hangers are an excellent way to convey a strong message about preserving our natural resources and energy. 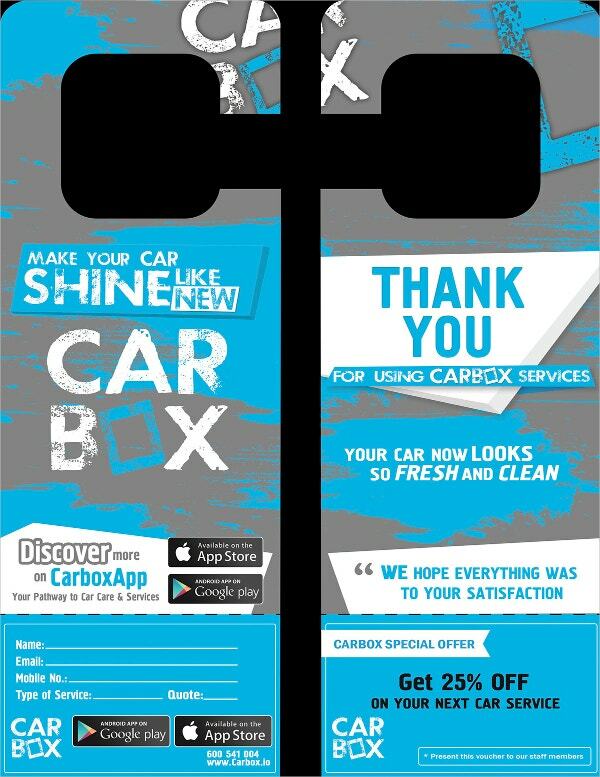 The Carbox service door hangers are used for promoting the Carbox car care and services. 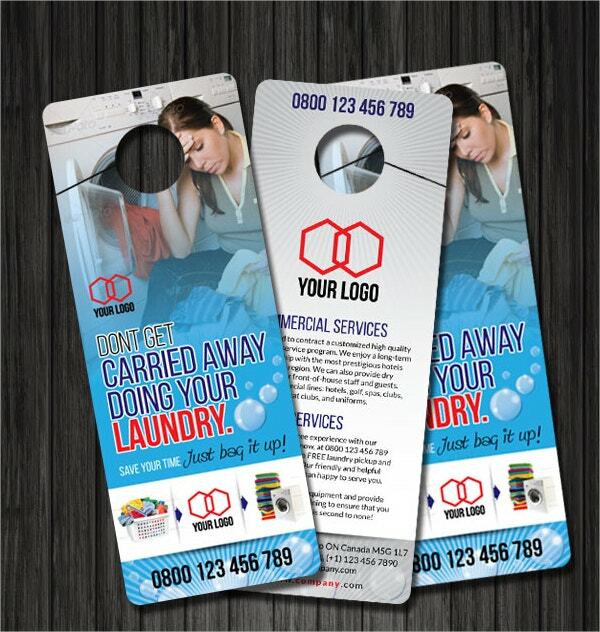 Carbox service door hangers, generally include the promotional message and the contact information of a Carbox service. Wedding door hanger templates are used to inform the people about an upcoming wedding. 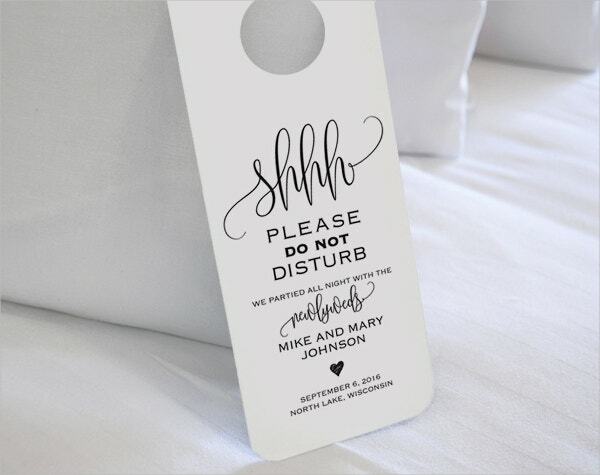 This door hanger includes the name of the couple and the respective date of the wedding. 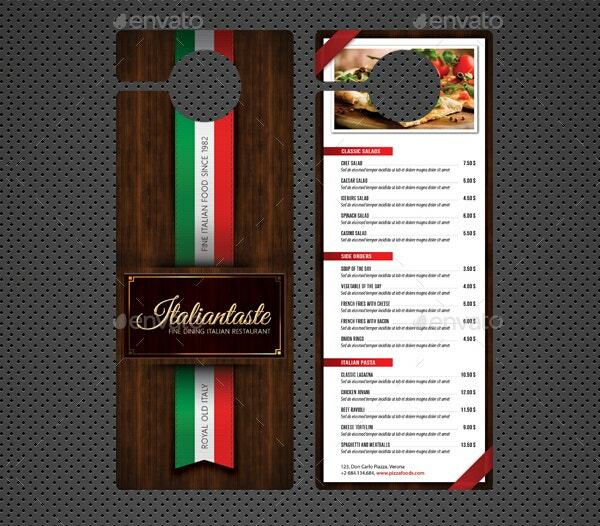 These door hanger templates are effective and tend to attract a large audience. This is the cheapest way of marketing or conveying a message. These are generally made to attract the local audience, limited to a particular geographical area. Most of the small businesses use these templates for promoting their brand.